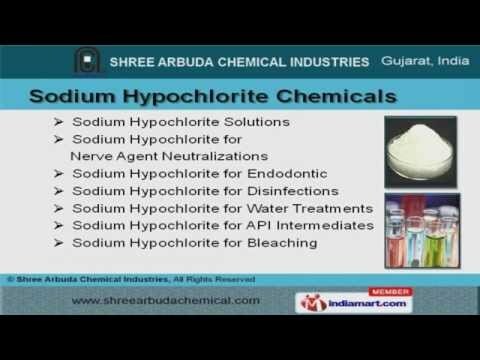 Welcome to Shree Arbuda Chemical Industries. Manufacturer and Exporter of Chlorine Solution, Industrial and Textile Chemicals. We are an ISO 9001:2008 certified company, established in 1984, at Ahmedabad. Our products are applicable in Textile, Paper and Chemical industries. Market leading prices, excellent logistics support and variegated payment options make us the first choice of our clients. We offer a vast range of Bleaching, Textile and Industrial Chemical. Our Sodium Hypochlorite Chemicals are extremely reliable. Along with that we offer an inclusive assortment of Bleaching Chemical. We are known in the industry as the manufacturer of Textile Chemicals. We have been able to offer Industrial Chemicals that are available at affordable prices. Our Chlorine Solution & Industrial Treatment Chemicals are class apart.